We recently supplied and installed this Garador Beaumont retractable electric garage door for a customer in Tetsworth, Oxfordshire. 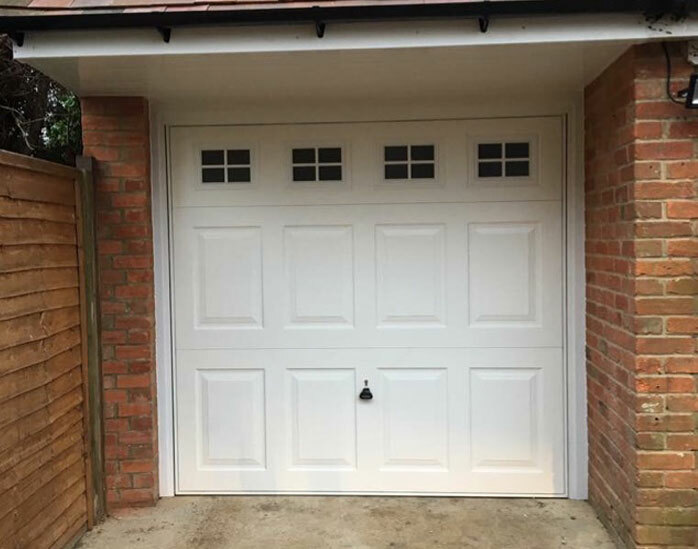 This garage door also has four elevated windows to let more light into the garage during the day.Garador are an increasingly popular brand of garage door, with a great variety of designs and styles. The customer was delighted with the service offered by Shutter Spec Security, commenting on the quality of our work and our customer service.